I thought it was shown well in the video, no? The plastic tube is split and clipped into place over inner tube to provide grip and shock absorbing. The tape ensures it doesn't slide/pop off. The only draw back is that one cannot use the last holes at the shortest extension (3.x sails). Not to worry, you can change the lens distortion in GoPro studio :) I make myself look twice the size :D ! So do you have to have your boom extended further out than normal to accommodate it? Would that affect performance? Say you wanted to get decent speeds but also wanted to capture the session on camera? Sue, We have been playing with Nikon 360 degree cameras and if you dont want to miss any action during a session 360 degree is the new way to go. Streetbob will post soon so keep an eye out. Note - you need to drag mouse through the footage to change the view. Its just like looking infront then turning your head to look behind. It was mounted on top of boom 3/4 from the mast. We are looking at other mounting options. We will be looking at a Clewview option soon too. Very very cool mantas99, love what you've done with the zoom out and back into the tiny planet view. Well yes it can. The more boom (bigger sail) the more likely. Also if you sail higher up on the wave and in side on conditions... but if you gather up a bunch of speed, pull off a little and turn hard normally it clears :) ! Also, there should be a quick swiping motion to bring the sail across, if done correctly it helps clear the water. Finally, it often hits for a split second and will result in usable footage. The top turns are sick tho because the camera is so far from the rider. Spit on that (those?) lense so that the water flies off, that or go faster! 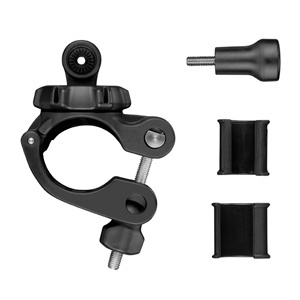 Has anyone got or used the K4 Harness mount? Standard or long extension. With the mew GoPro7 out and sick stabilisation I'm going to revisit maybe getting some footage again.